Family Fun for Over 60 Years! Packing up the kids for a trip to the beach is as much of a hassle today as it was back in 1954, when Forrest Leland and his family that there must be better way. 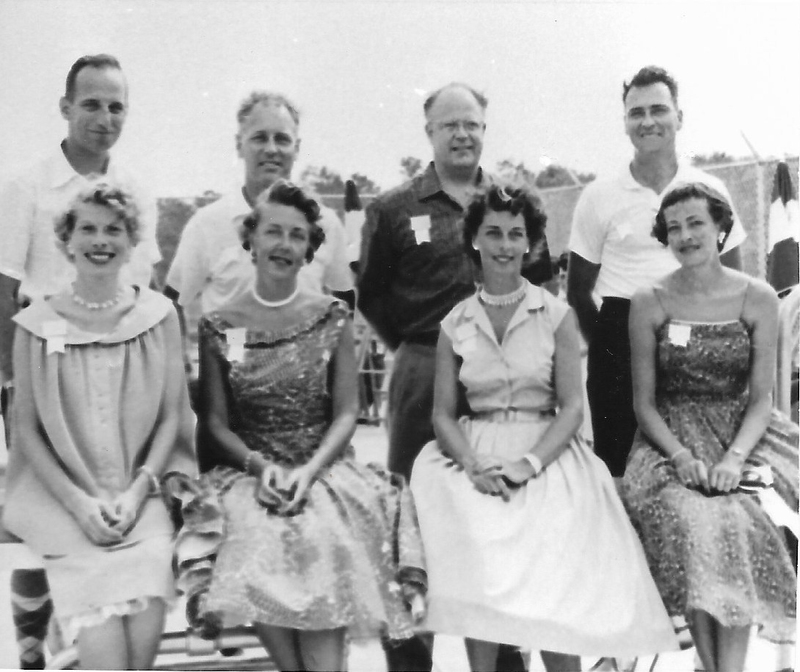 He and three other families, the Kervicks, the Quinns, and the Bryants came up with the idea of a neighborhood swim club. The families worked tirelessly through the winter to get their idea off the ground, holding an aggressive recruitment drive for members in Riverside, Barrington, and Rumford. By June of 1955, they had signed up 150 families, 50 short of the desired total, yet a local bank was willing to finance the operation. Fortunately, a contractor and an attorney were among the first families to sign up. The contractor went to work and built the swimming pool, more as a labor of love than for profit. The attorney helped secure the property, get the necessary permits, and set Kendbrin up as a going concern. By August of 1955, Kendbrin’s membership was full, with a waiting list in reserve. How Did Kendbrin Get Its Name? The four founding families combined their names: they took the Ke from Kervick, the nd from LeLand, the br from Bryant, and the in from Quinn, and came up with the name Kendbrin. Back then, a family membership cost $255. $150 bought the family three $50 shares in the club, plus a $25 locker deposit, a one-time initiation fee of $40, and $38 in federal taxes. After local taxes, just $42 fell to the bottom line for the club. Nothing’s changed much, save inflation and additional tax and insurance burdens. And the concept of a neighborhood swim club has not changed since Forrest Leland’s day. There are 275 members in our club, families and individuals, who owe a debt of gratitude to the lawyer, the contractor, and all the good people who have worked, and continue to work, so hard to make Kendbrin a reality, year after year.